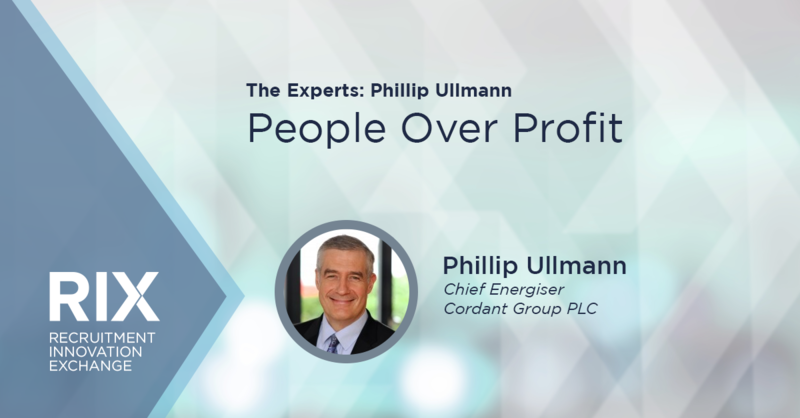 Phillip Ullmann is the Chief Energiser of Cordant Group, the UK’s second largest recruitment and services firm with revenues of £840 million employing 125,000 people. 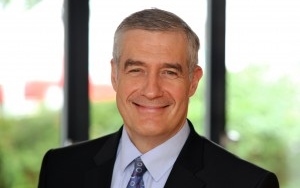 Phillip has been responsible for driving the business forward since joining in 1996. This has been achieved through a series of acquisitions and organic growth but also by hiring highly talented people in key roles. As the original architect of the Social Enterprise at Cordant, it is now a vision owned just as much by the board and the senior management. Phillip has an Engineering degree from Cambridge University, an MBA from Brunel and is a qualified Chartered Accountant. In this clip, Phillip Ullmann, Chief Energiser at Cordant Group PLC explains why his company decided to focus on being a social enterprise. Why did Cordant Group decide to focus on being a social enterprise? It started with my kids. About two years ago, my daughter was getting married and my son in law was in the final year of his law degree and we met with his parents and I was under pressure to persuade him to become a lawyer because that’s the normal model that we pursue. It’s philanthropy, we work hard, we support the family, work in the community, but we give charity. That’s the fundamental model and he was saying to me, “No, I want to change the world. I want to look after the kids. I love connecting with the kids.” So he said he didn’t want to do it and I switched to that point. I recognized he was right and I moved from the tradition to what he was saying and I now believe that business is about changing the lives of people rather than making money. Can recruitment firms successfully scale their business while also focusing on civic service? Without any doubts. The recruitment industry is fundamental to relationships. It’s about making people lead meaningful lives via the right job, so the road is critical. If we can move the mission from pure profit for the shareholders to a reasonable reward for shareholders and everybody with caps, we can start building relationships based on covenant. As I explained in my talk, it’s about people authentically working together for the sake of the common good rather than in their own interests. The answer is yes. I think this model is scalable because fundamentally we all want deep down to do good, so I think it’s scalable. How has Cordant’s community efforts had on your ability to attract the best internal talent? Only positive. The millennials want to make a difference. They fundamentally are lacking energy, they’re passive at the moment and they’re looking for an opportunity to engage. They can’t buy property, they can’t get on the ladder, but this will give them the energy, the opportunity to actually do something meaningful from an early stage so your answer is, yes, it is having a positive impact. People love working for us and they’re queuing up to join us.